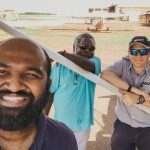 Mission Aviation Fellowship (MAF) is a Christian organisation that provides aviation services for people living in remote areas around the world. Our purpose is to deliver practical and spiritual care to people in places of deepest human need. Every four and a half minutes, a MAF plane takes off or lands somewhere in the world. 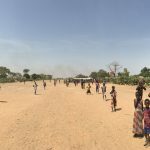 These flights enable crucial work by many aid and development agencies, missions, local churches and other national groups. MAF is serving the Church and communities in remote areas where flying is not a luxury, but a lifeline. Isolated people physically and spiritually transformed in Christ’s name. Sharing God’s love through aviation and technology. We value Christ-like behaviour in the way we work and relate to one another and to those we serve. We have respect and care for all people and have compassion for those in need. We are sensitive to cultural differences and have a servant attitude.